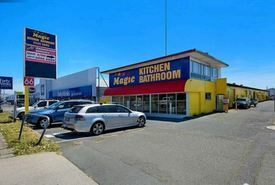 220m² Open plan showroom, 2 small offices, toilet kitchen Front hardstand parking for 3 cars, plus rear yard Near new lighting, air conditioning Perfect for small business to grow with massive brand exposure Approximately Disclaimer: Ray White has not independently checked any of the information we merely pass on. We make no comment on and give no warranty as to the accuracy of the information contained in this document which does not constitute all or any part of any offer or contract by the recipient. Prospective purchasers / lessees must rely on their own enquiries and should satisfy themselves as to the truth or accuracy of all information given by their own inspections, searches, inquiries, advices or as is otherwise necessary. No duty of care is assumed by Orchid Avenue Realty trading as Ray White Surfers Paradise Commercial divisions toward the recipient with regard to the use of this information and all information given is given without responsibility. The owner wants this leased now! 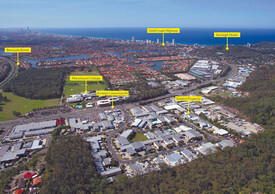 This is your chance to lock in a great rate on this quality Northern Gold Coast industrial premises. Many inclusions (by negotiable) such as; racking, office fit out, printers, fridges etc. 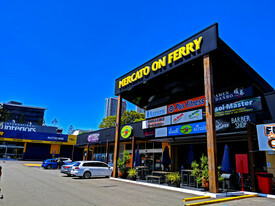 Tenancy is entire front half of the building and shares with only one other tenant. Tenancy is 640m² in total including 320m² of clear span industrial shed and 320m² of offices and showroom/boardroom. 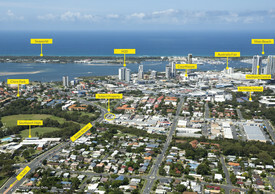 Very well known Industrial street and area right in the Gold Coast Northern Corridor. 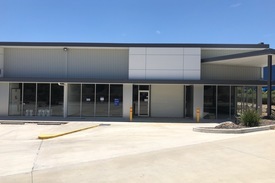 Features: Easy truck access 3 phase power Warehouse has two 5.5m high roller doors Surrounded by successful name brand businesses Minutes to; Harbour Town Shopping Centre M1 Motorway (North to Brisbane 45 min, or South to NSW) Call exclusive agent Steve Maher to arrange an inspection by appointment only. approx. Please contact the listing agent for more details by clicking on the link above. Disclaimer: Ray White has not independently checked any of the information we merely pass on. We make no comment on and give no warranty as to the accuracy of the information contained in this document which does not constitute all or any part of any offer or contract by the recipient. Prospective purchasers / lessees must rely on their own enquiries and should satisfy themselves as to the truth or accuracy of all information given by their own inspections, searches, inquiries, advices or as is otherwise necessary. No duty of care is assumed by Orchid Avenue Realty trading as Ray White Surfers Paradise Commercial divisions toward the recipient with regard to the use of this information and all information given is given without responsibility. 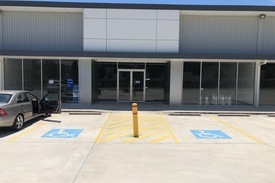 434m2 quality warehouse office on title PLUS bonus superb mezzanine office area of approx 85m2 Ground floor warehouse area consits of 305m2 with large roller door, 6m ceiling height and reception Upper level office area of 129m2 has been divided into 2 small offices and 2 large open plan areas with kitchette. The additional mezzanine area of approx. 85m2 comprises of 2 offices and large boardroom. All office areas are air conditioned. Building area 434m2 total on title PLUS 85m2 mezzanine provides total lettable area of 519m2 . Male / female bathroom amenities are provided. Total of 6 carparks 4 under cover and 2 open air. Large solar system included. Owner keen to negotiate Call agent today! Approx. Disclaimer: Ray White has not independently checked any of the information we merely pass on. We make no comment on and give no warranty as to the accuracy of the information contained in this document which does not constitute all or any part of any offer or contract by the recipient. Prospective purchasers / lessees must rely on their own enquiries and should satisfy themselves as to the truth or accuracy of all information given by their own inspections, searches, inquiries, advices or as is otherwise necessary. No duty of care is assumed by Orchid Avenue Realty trading as Ray White Surfers Paradise Commercial divisions toward the recipient with regard to the use of this information and all information given is given without responsibility. 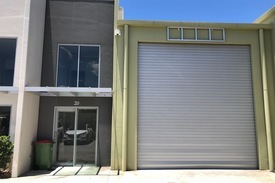 Very versatile and well priced shed in one of the Gold Coast's most sought after industrial precincts. 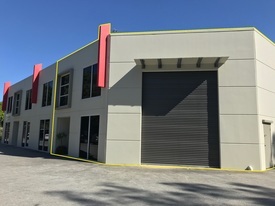 Featuring; 1100m² NLA total or as separate tenancies (375m² + 725m² ) 80m² of office space + 40m² kitchen, staff lunch room 400m² high pitched covered loading area covered side wash bay Located in a highly sought after industrial estate Fully fenced with hardstand Easy truck/container access and storage Covered wash bay 8m internal height Separate male female amenities Industry zoning with 24/7 operation approved Surrounded by many successful big name operators Very reasonable pricing for the quality and size of this facility. Approximately Please contact the listing agent by clicking on the above link. Disclaimer: Ray White has not independently checked any of the information we merely pass on. We make no comment on and give no warranty as to the accuracy of the information contained in this document which does not constitute all or any part of any offer or contract by the recipient. Prospective purchasers / lessees must rely on their own enquiries and should satisfy themselves as to the truth or accuracy of all information given by their own inspections, searches, inquiries, advices or as is otherwise necessary. No duty of care is assumed by Orchid Avenue Realty trading as Ray White Surfers Paradise Commercial divisions toward the recipient with regard to the use of this information and all information given is given without responsibility. Corporate Warehouse With Premium Office Space $71,145 + GST Gross pa (I..